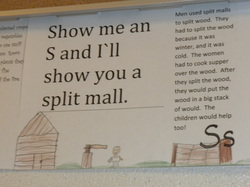 Our class researched and did a thinkquest on pioneer life. 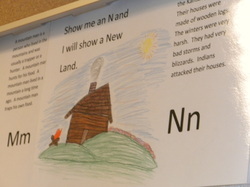 Each student was then assigned a letter of the alphabet to create a page for our Pioneer ABC book. 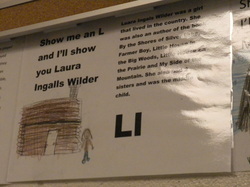 Some of the pages are shown here. 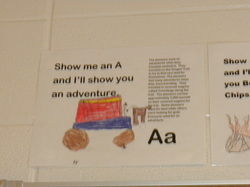 We displayed all the pages above our lockers for the rest of the school to see.